Ted Cruz, in an effort to bumble his way back into the senate, has discovered and misused the power of video editing. Dallas News reports that the Cruz camp is so worried about the upcoming election that they’ve sunk to blatantly falsifying information about opponent Beto O’Rourke. The Cruz ad in question tries really hard to make it appear as if O’Rourke loves people who burn the American flag. The video has, let’s say, room for improvement. It opens with an awkward shot of O’Rourke from the Q&A, then adds voiceover of someone asking his thoughts on flag burning, your standard question. O’Rourke’s answer feels totally out of place in the ad (probably because it is literally out of place), but you can watch Cruz’s ad here and O’Rourke’s actual answer below, and compare the two yourself. The takeaway here is that political figures are being insultingly obvious about lying to potential voters. It’s lazy, but people will still believe it and outright ignore the evidence. There’s always been an element of twisting the facts in political elections—there’s a clear origin for this new level of fabrication, though, and it’s an easy guess. Trump’s calls of fake news open the door to propaganda like this. 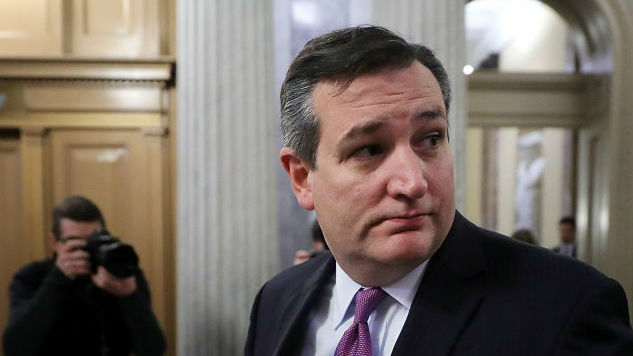 Cruz didn’t even have the courtesy to use a deepfake—at least that’s a new, sophisticated technology. Apparently, that level of deception isn’t necessary for his constituents.